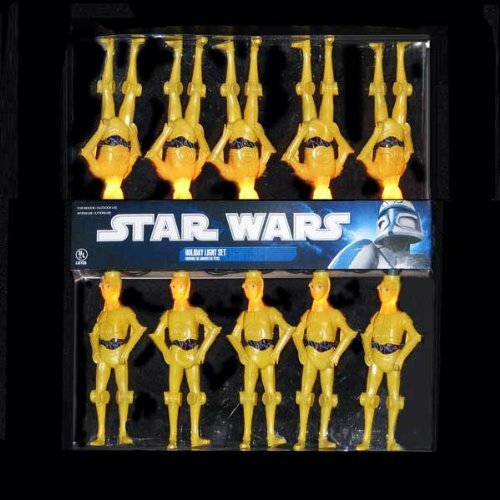 Decorate with Star Wars character C3PO, there are 10 Lights per strand, and 12″ spacing in between each character. 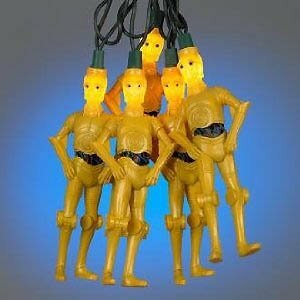 “I am C-3PO, human-cyborg relations”, inviting you to engage in festivities of galactic proportions with the Star Wars C-3PO party string lights. Ten robot lights are strung along a green wire, eager to assist you in making your indoor or outdoor party a real out-of-this-world affair. Also makes great everyday decor for a child’s room, adult room or holiday space age fun. Indoor/outdoor use.